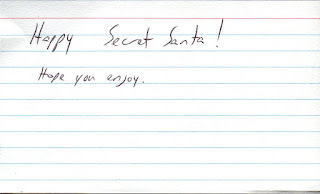 Secret Santa gift exchanges can be tricky. In my experience, they are forced upon you. So what do you get for the co-worker/family member/random person that you don't know? If it's a co-worker, there's the added pressure that even though you see this person on a daily basis, you have no idea what they like or dislike. Plus, if they don't like your gift, you still have to work with them. The Secret Santa exchange set up by Matt over at Bob Walk the Plank had none of the perils that can plague a gift exchange. We all opted into this voluntarily and we're all trading card bloggers so we can easily see what the other person collects. 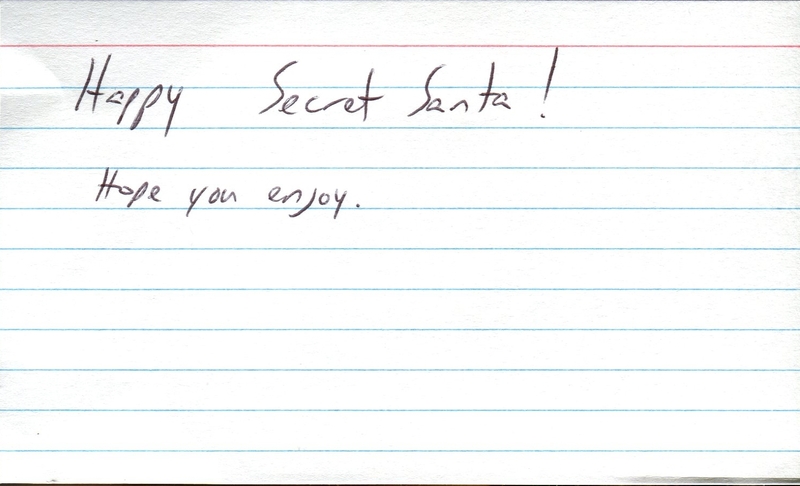 Plus, receiving random cards in the mail is always a fun surprise. I received my Secret Santa gift a few days after Christmas, which is fine by me because that just extends the Holiday fun. My Secret Santa is truly secret because my package had no name! There was no name inside or outside but postage indicated that it came from North Carolina. So thank you North Carolina! Whoever this person is, they clearly understood that I am a Mariners fan as I received a nice selection of cards. First there is a cool looking sepia parallel from this year's Topps Chrome. I am 98% certain that this is my first sepia parallel. The second card is the pink parallel version from Chrome of the "Large Human" himself, Dae-Ho Lee. Lee signed a one year contract with the Mariners last year to try and prove himself in the United States. He showed the power that made him such a success in Korea and Japan but unfortunately he struck out a lot. 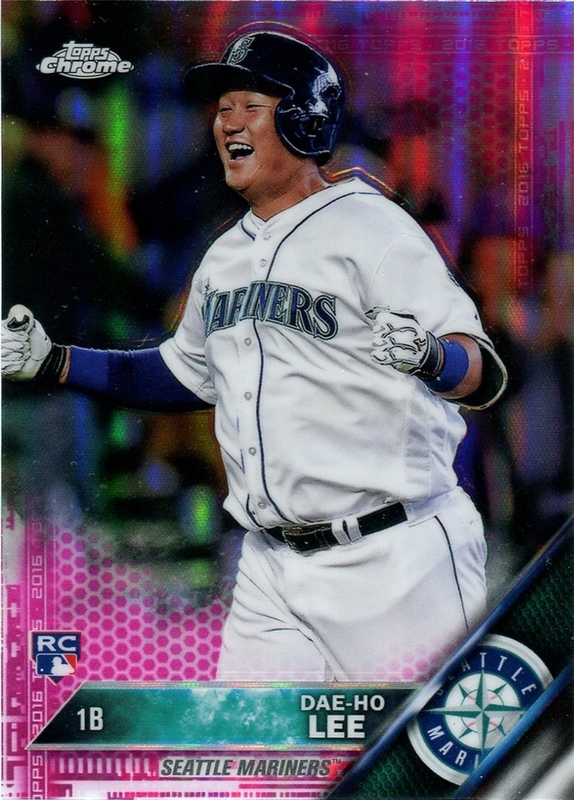 Dae-Ho was not happy in a platoon role with the Mariners so we likely won't see him back with the team. 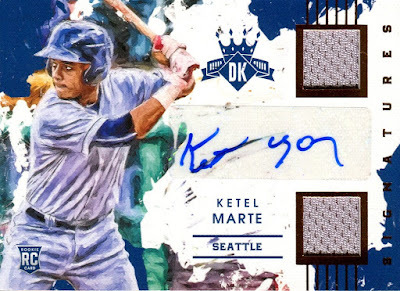 The base design of 2016 Donruss Baseball didn't appeal to me very much, yet the Diamond Kings subsets look great. 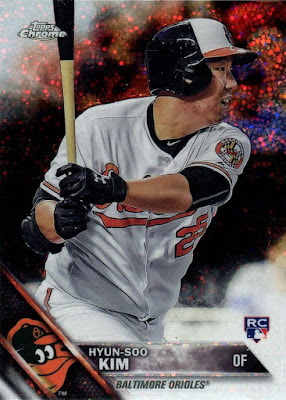 This particular card is from the Optic set and is the orange parallel and even better yet is that this card is numbered 12 out of 199. 12 isn't his jersey number but is still a special number for Seahawks fans, for the 12th Man. Whoever picked this card did an excellent job. 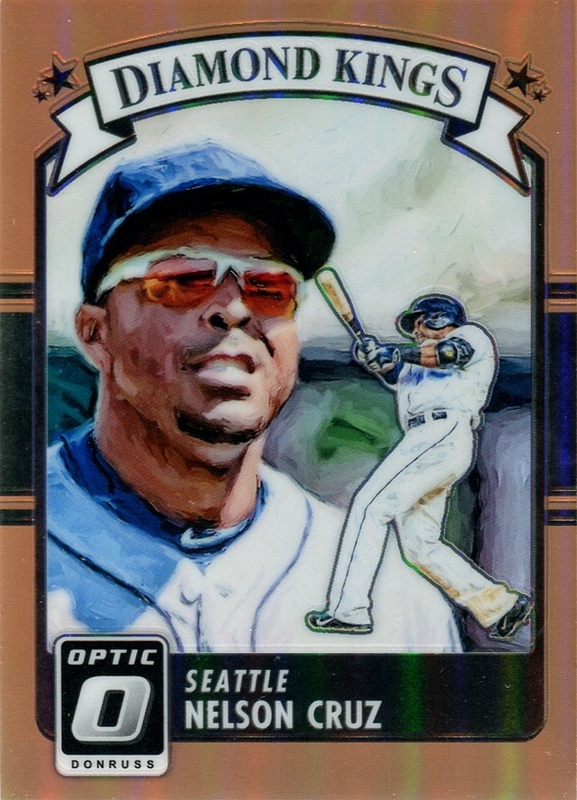 During the dark years of the Mariners, mid to late 2000s, there were not many bright stars. 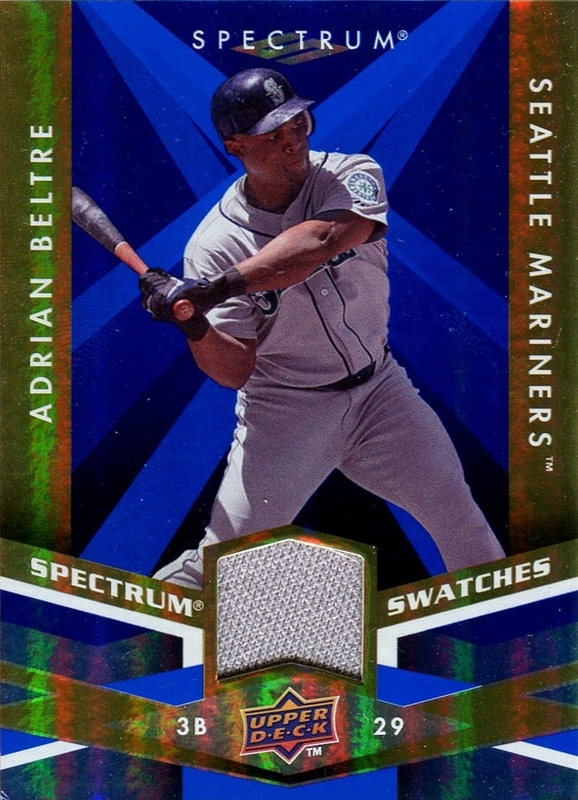 Adrian Beltre lived up to his contract unlike a lot of other high paid players during this time. 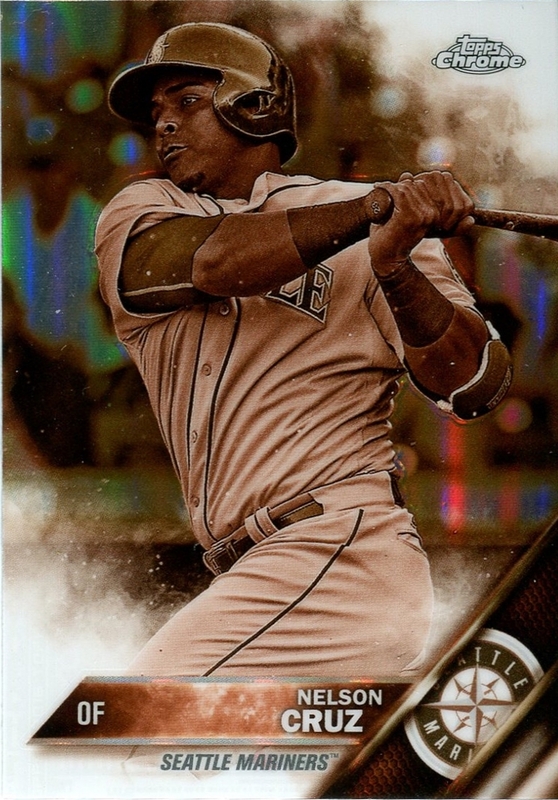 Although he left for greener pastures, Beltre still remains a fan favorite. I don't think many can blame him from moving to better team. A triple jersey! An Expo relic! (more on that in a minute). Although Kazuhiro Sasaki had a brief four year stint with the Mariners, he was a dominant closer. 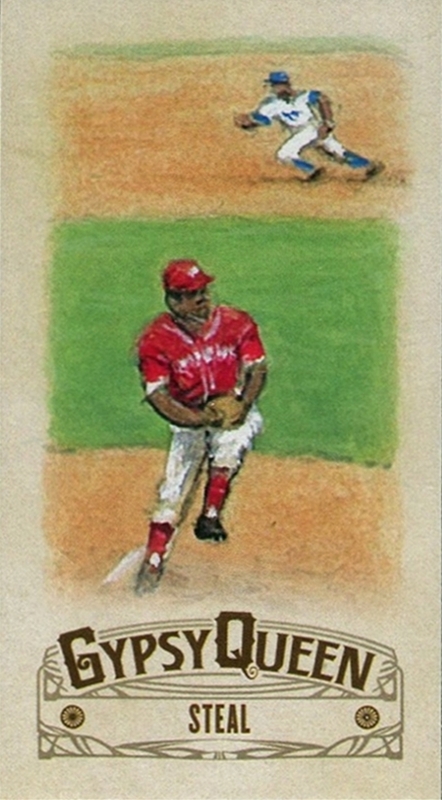 He won Rookie of the Year in his first season and was an All-Star the following two years. I'm excited to have acquired of relic of Sasaki. 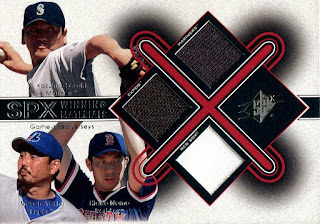 I associate Hideo Nomo was a Dodger so it's a little weird to see him in a Red Sox uniform. He only played one season with the Red Sox, which probably has something to do with it. 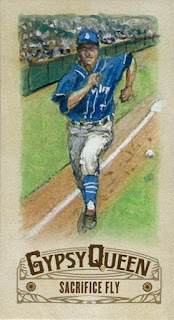 Rounding out the trio of Japanese players is Masato Yoshii. I had not heard of Yoshii but it appears he came over to the US after a long career in Japan. 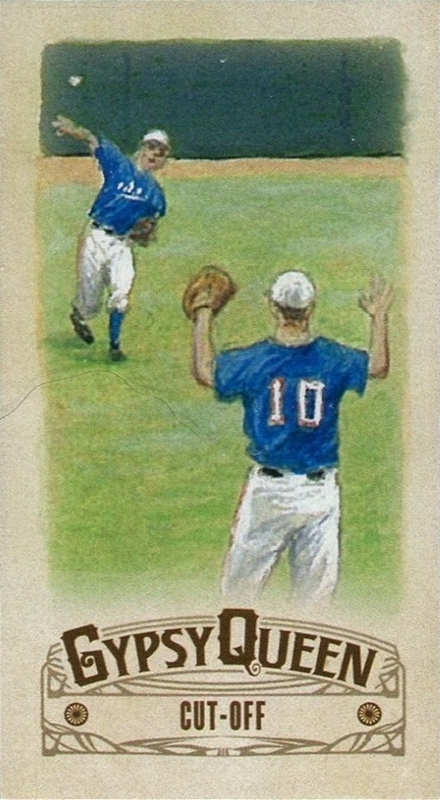 He had an unremarkable career in the majors, playing for a few different teams. 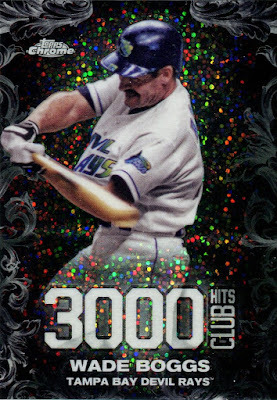 On the one hand I'm disappointed that the front of the card said Expos. On the other, I appreciate the fact that the card actually bothered to state where the jerseys came from. Since this is a black piece of jersey, I'm more inclined to believe that it is a Mets jersey and not an Expos piece. Oh well. My Secret Santa did an excellent job of picking out meaningful cards. Thank you, whoever you are!! Like most bloggers out there I took advantage of COMC's Black Friday sale and free shipping. This was my first COMC Black Friday so I made sure to take advantage of it. Combined with cards I had previously purchased, my Black Friday shipment totaled 140 cards. I picked up a lot of set and PC needs. With such a large amount of cards, my order did not arrive until last week. 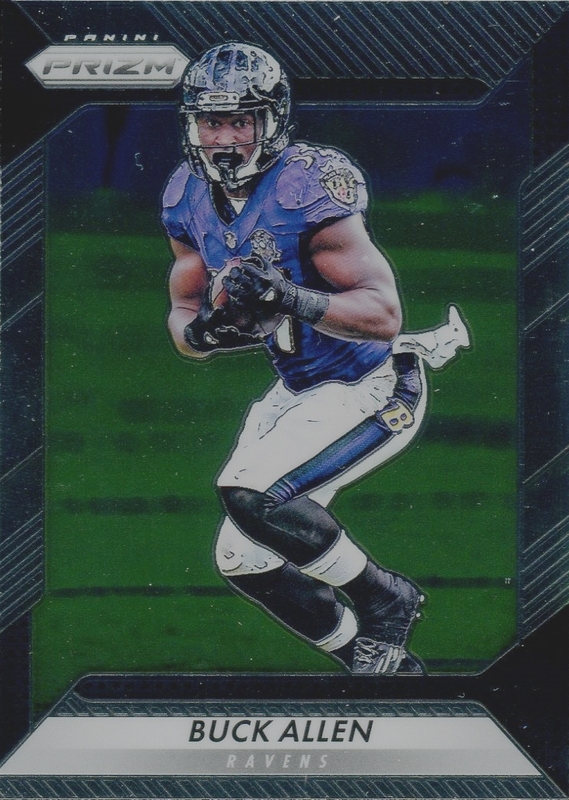 I've been slowly making my way through my order by adding them to my collection on the Trading Card Database and ensuring that everything in my order is there. 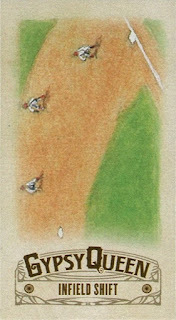 The first batch of cards I'm going to show off is a small 2015 Topps Gypsy Queen mini insert, the Basics of Baseball. 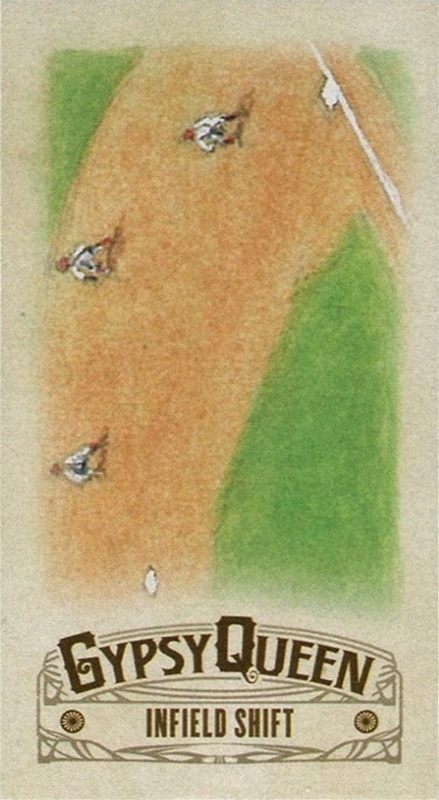 The watercolor artwork looks fantastic. 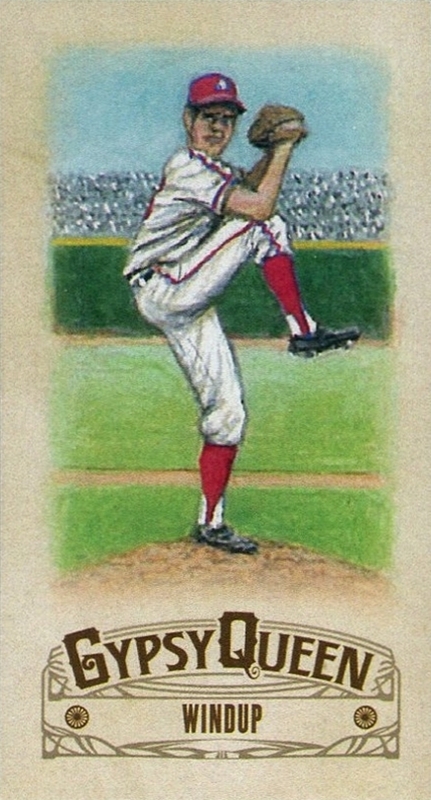 I wish these cards weren't mini because it would be nicer to see the paintings in bigger quality. Regardless, the mini size feels like it fits the theme of the cards well. 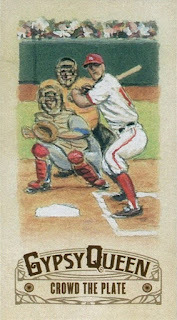 These cards won't teach baseball collectors anything new but they are still fun to look at. 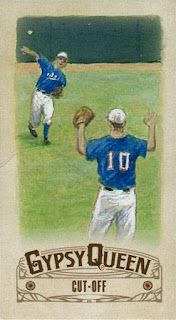 These inserts were more expensive than I expected (about $1 per card, on average) so maybe they didn't show up that often in packs. Even on Sportlots, where cards are usually reasonably priced, they go for at least a dollar. 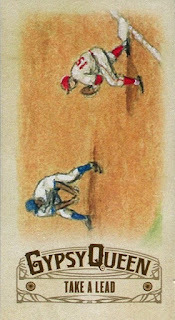 I only need three more cards to complete the set: #4 (Head-First Slide), #7 (Tag Up), and #9 (Pitchout). I seem to recall that they were going for over $2 on COMC so I held off on those for now. This is just a small look at my COMC order, which I'm sure will provide plenty more blogging material. I hope everyone has a Merry Christmas and Santa brings you lots of cards! 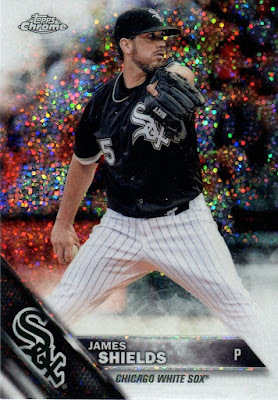 I've seen quite a bit Prizm, watching people chase the pink parallels in the retail only $50 boxes (and only 20 cards in the box!!). 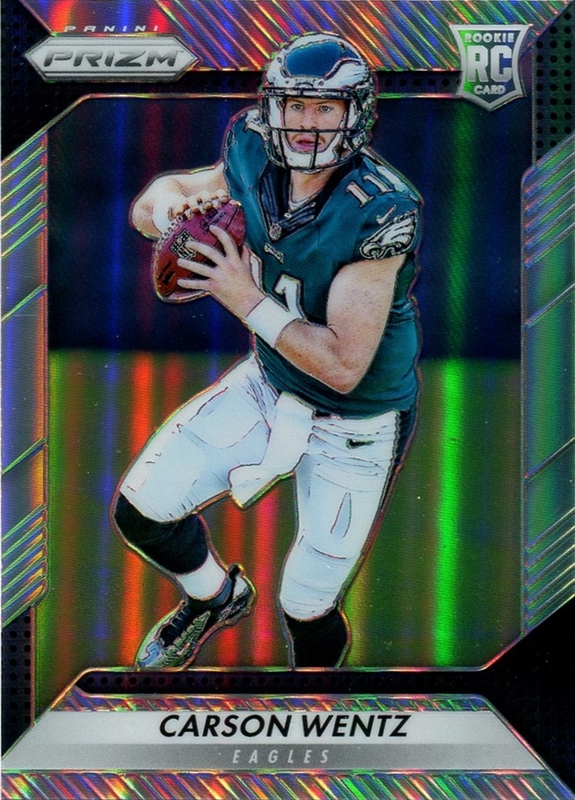 I'm not interested in chasing retail color but with Topps Chrome Football out of the picture this year, Prizm appears to have taken over as the shiny replacement. 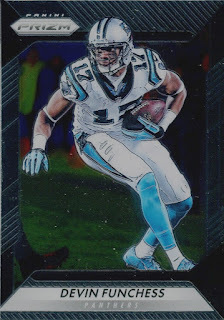 Prizm retail finally made it to my grocery store so I decided to buy a couple packs to see what the fuss is about. 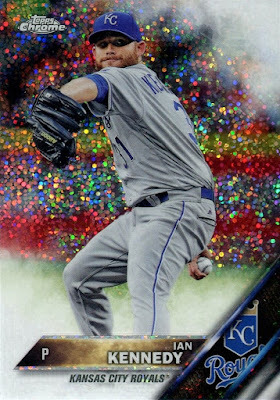 Even though I think the base design is rather bland, the shine on the cards does look nice. 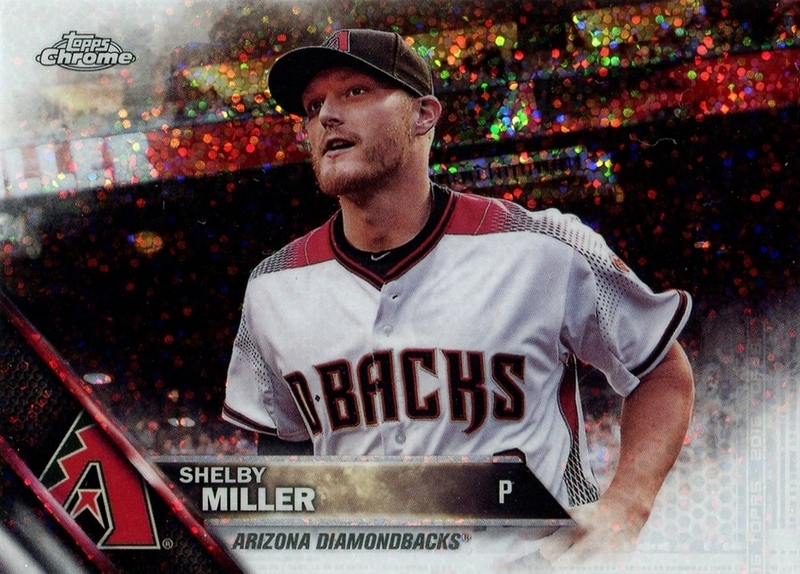 With only 4 cards per pack, at $3 per pack, the value is not there. 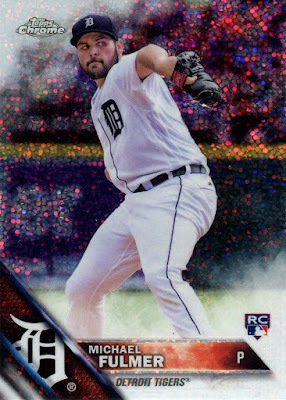 I haven't figured out the trick to scanning the base cards so my apologies for the inconsistent scans. Starting off nicely with a competent quarterback. 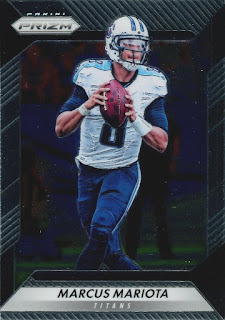 Other than last week against the Broncos where he completed only 30% of his passes with no touchdowns, Mariota had nice stretch of three games. He had completed over 65% of his passes with at least two touchdowns. 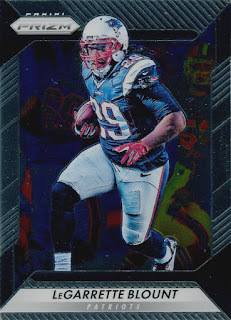 I have Blount on my fantasy football team so I've been happy about his play this year. Last Monday he topped 1000 yards rushing and tied the Patriots' single season rushing touchdown record. I have no doubt he will break that record. 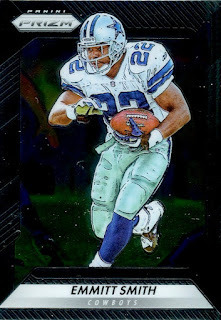 As much as I hated the Cowboys during the '90s (who the hell declared them "America's Team?") I can't deny that Emmitt Smith was an excellent player. I'll always happily had a Hall of Famer to my collection. 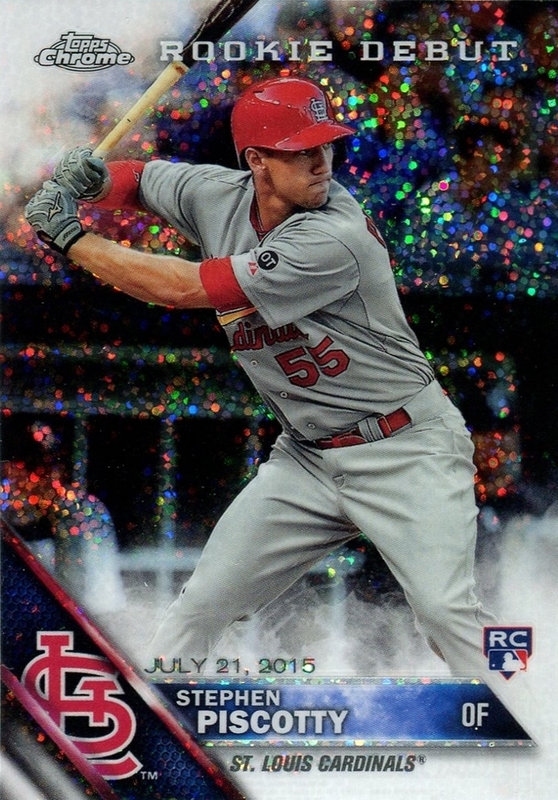 The last card of the pack was a rookie prizm/refractor. Even though he's struggled since the first few weeks of the season, getting a rookie card of the 2nd overall draft pick is still pretty sweet. Starting off the second pack with an average receiver. Nothing to be excited about here. Who? I seriously have no idea. This year he has rushed for a total of 34 years so that's probably why I don't know his name. The Jets cut Amaro all the way back in September. The Jets haven't exactly been a model of success this season so to be cut from the Jets says a lot. 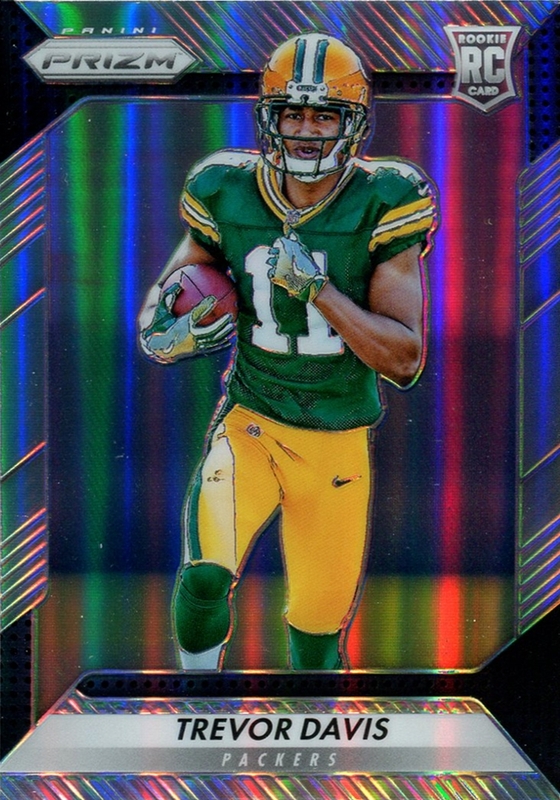 I love seeing a Packers card the week after they beat up on the Seahawks. As far as I can tell, Davis has had little to no impact so far this year. This makes this a dud of a rookie card. I could convince myself that I opened my money's worth with pack 1. With pack 2 though...ouch. No card was noteworthy. I know that not every pack can be a winner but these two packs were total opposites. Despite the popularity of Prizm, I will be spending my money elsewhere as I'm not too excited about this set. It's a good thing the baseball hot stove is burning because here in Seattle, the temperatures are dropping and snow is threatening to fall. It's not unheard of for us to get snow but it only happens every couple of years. I don't mind the cold weather though. There is something enjoyable about walking outside when the sun is shining and the cold gripping your chest. 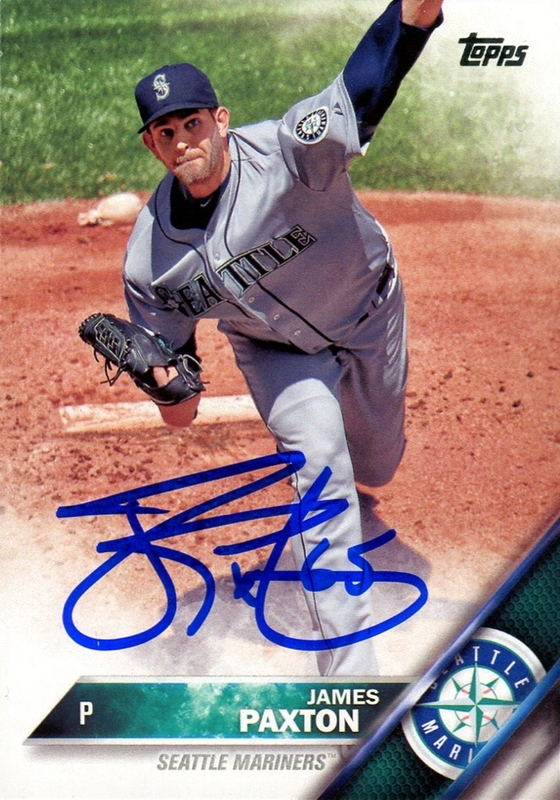 One player who I'm glad is not hanging around the hot stove is James Paxton, pitcher for the Seattle Mariners. Paxton has unfortunately been injured during large parts of the 3 full seasons he has pitched in the majors. For the 2016 season he didn't even make his season debut until the beginning of June. 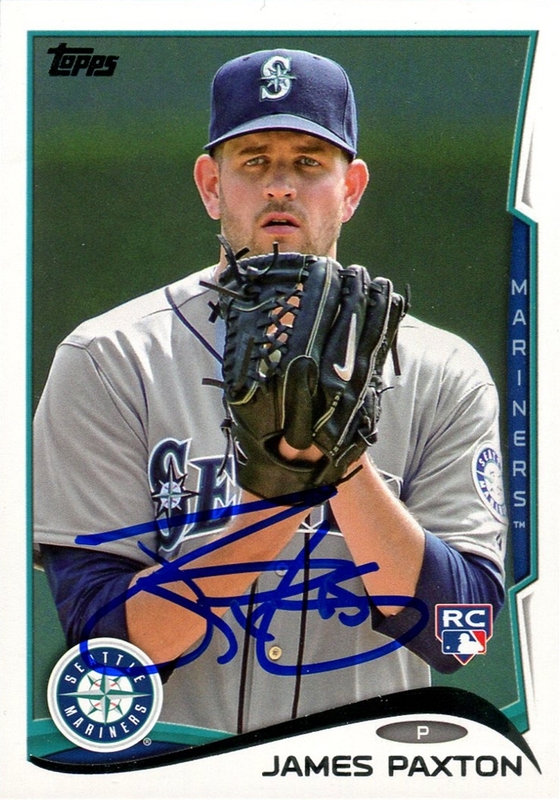 As of right now Paxton should be the #3 starter for the Mariners and if he can make it the whole season, I think he will do well. Earlier this week the Mariners announced that Paxton would be doing a signing at one of the team stores, no doubt trying to draw people in to buy Christmas presents. Although the Mariners do a good job throughout the season of having players for available for signings so this is par for the course for them. The announcement of the event didn't leave me any time to pick up new Paxton cards. 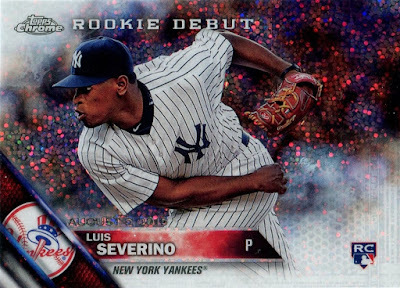 Fortunately, I had two cards that I could get signed: his rookie card and 2016 flagship. 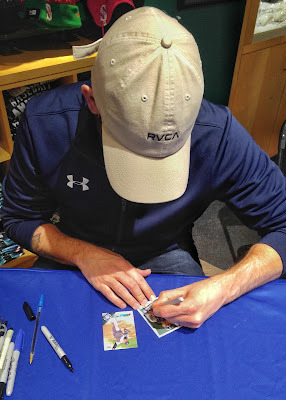 I was excited to get these cards signed because they would represent my first on card, in person autographs. Honestly, I'm not usually that excited for autograph sessions because I don't know what I would get signed. With cards though, it feels more special to have them signed. 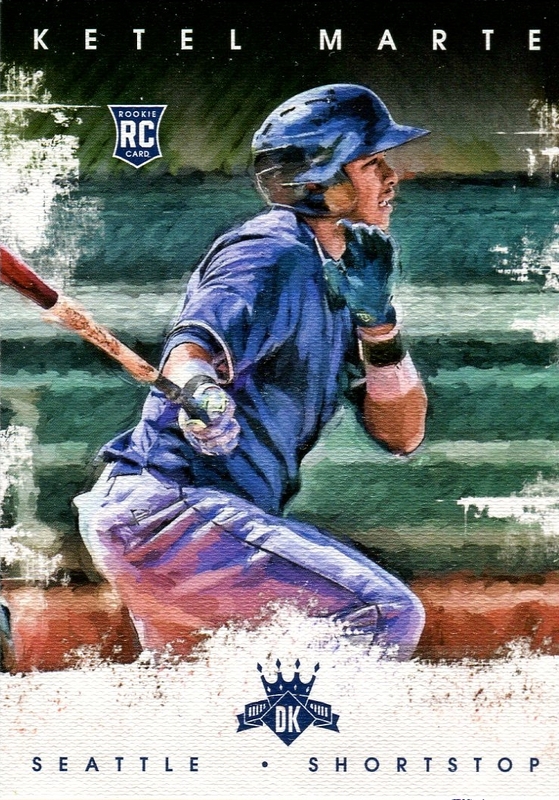 Especially in this case since Paxton has never signed for Topps flagship. I think the blue ink looks really good on the 2016 Topps card. At the end of January the Mariners will hold their annual fan event. Hopefully, I will have enough lead time to find cards for the signers if I don't have any! After I finished off Update I thought I could wipe my hands clean of 2016 Topps. 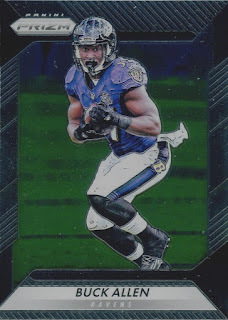 However, I made the same mistake that many other collectors make--I walked by the card section in the grocery store. How foolish could I be? Deep down inside I wanted there to be a reason to look. For better or worse, I got my wish. 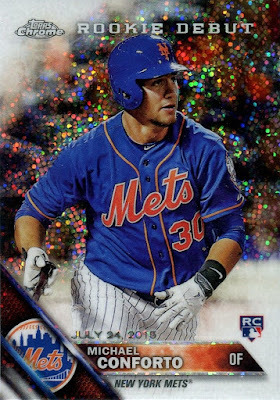 Topps Chrome Update, of course! 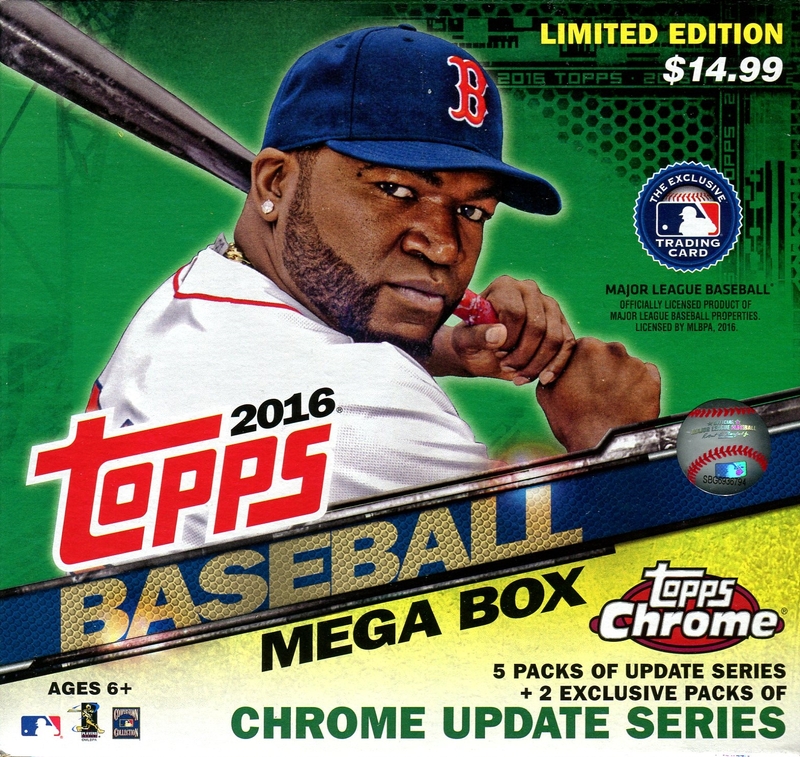 I had read about Chrome Update and for whatever reason I thought it was a Target exclusive. Either way, I wanted to see what Chrome Update looked like. I ended up buying one box then going back and picking up another. As with most chrome cards, the scans will not do the cards justice. 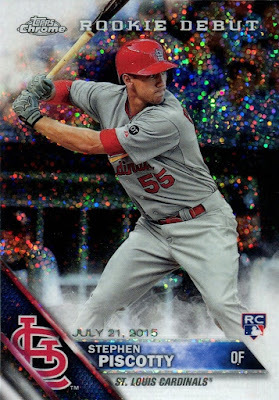 Chrome cards are a thicker stock with a cool shimmer. With an even 11-11 record in 2016, Kennedy was probably not the most deserving to be included in Chrome Update. As to be expected, Chrome Update is rookie heavy. 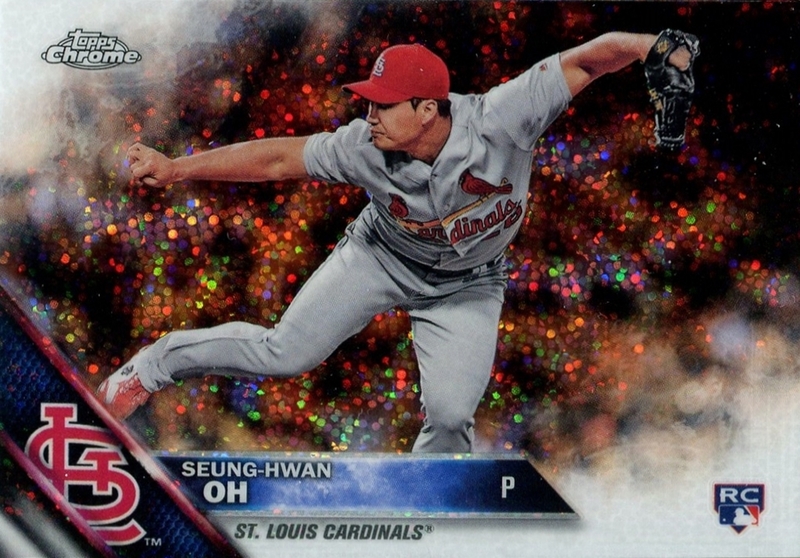 I wish my team had a 2008 Olympics gold medal winner and 2015 Korean Series champion. Our birthdays are only 6 days apart, fancy that. 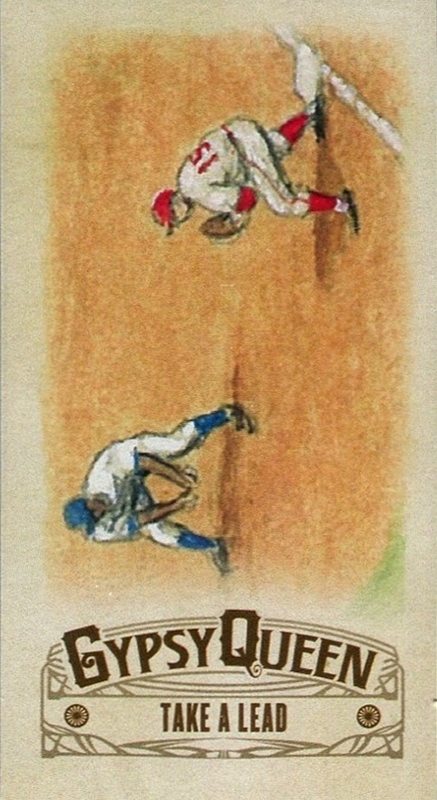 A set of rookie Dodgers. 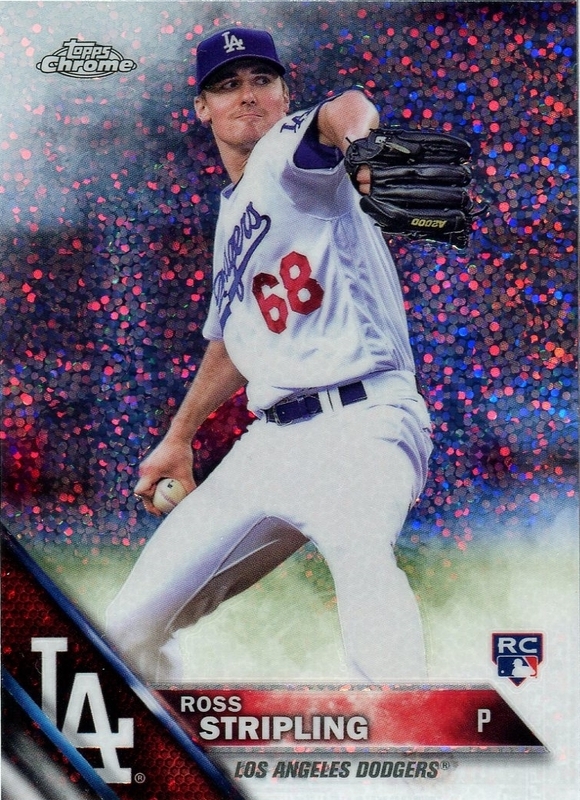 I might have mentioned this before but I consider the Dodgers as the NL team for whom I'll cheer. I had not started blogging yet because I surely would have made a post about my trip down to Los Angeles to watch a game at Dodger Stadium. Brian Cranston and I had a fun time watching the game together. He in his prime seats along the baseline and me in the upper deck. Surprisingly, that was actually my second closest encounter with a celebrity during my brief visit. My closest encounter was with the pop singer JoJo. She was sitting a table over at a small restaurant during brunch. The only reason we knew this was because we overheard her talking with her friends and pieced together that she was a singer. Crazy. After going to the game, I'm now the proud owner of a Dodgers beanie (stadium giveaway), three mini-bats (a gift from my brother-in-law), and a mini-helmet (previously filled with french fries). A beautiful stadium, rich history, and a few trinkets was all it took to convert me into a fan. How can I go from talking about celebrities to talking about a pitcher who went 3-12 in 2016 with a 6.15 ERA? I can't. Next. 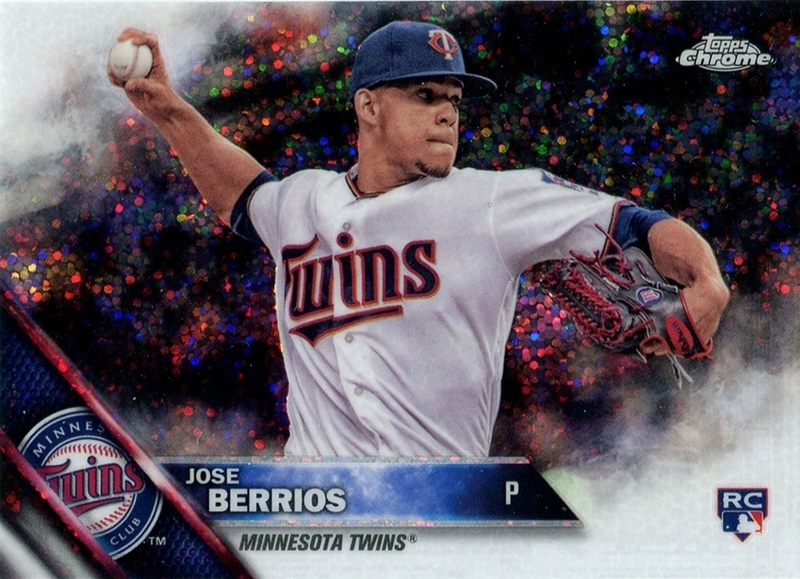 He didn't help the Twins' pitching struggles last season but at only 22 years old he has plenty of time to improve. After leaving Tampa Bay, Shields bounced around to a few teams and was a year too early with the Royals, missing out on a World Series Ring. Nice Rookie of the Year pull! Conforto is actually a local guy. He was born in Seattle and went to school in Redmond, which is just across the water from Seattle. He also played college baseball down south at Oregon State. This card reminds me that the Yankees are starting to get good again, ugh. 22 HRs, 85 RBIs, and a .273 batting average in his first full year. I think he has a future in St. Louis. Surprise insert time! I didn't expect there to be Chrome Update inserts. Out of 4 packs, I pulled two insert cards, which wasn't too bad. What disappointed me the most about Chrome Update was that the packs were tiny. Only four cards per pack! Ouch. 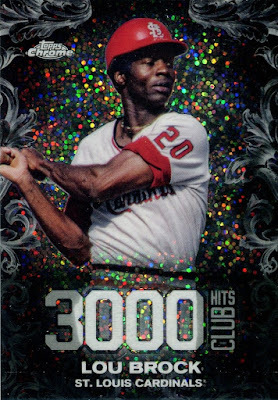 Fortunately, the base set is "only" 50 cards. A tough feat to accomplish if you're only opening raw packs, since you need a minimum of 7 Mega boxes; assuming no duplicates. 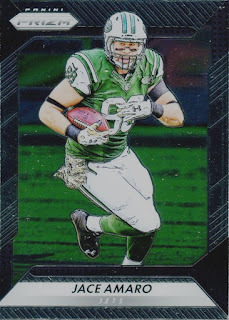 Out of the four packs I opened I did not have duplicates, which seems like a win in retail. Now you may or may not be thinking to yourself, "he didn't show off any of the regular Update packs!" You're right and I don't plan on it. I've already collected regular Update and I honestly don't think I'll pull anything good. As a reward for reading this far into this post, I've decided to give the packs away! 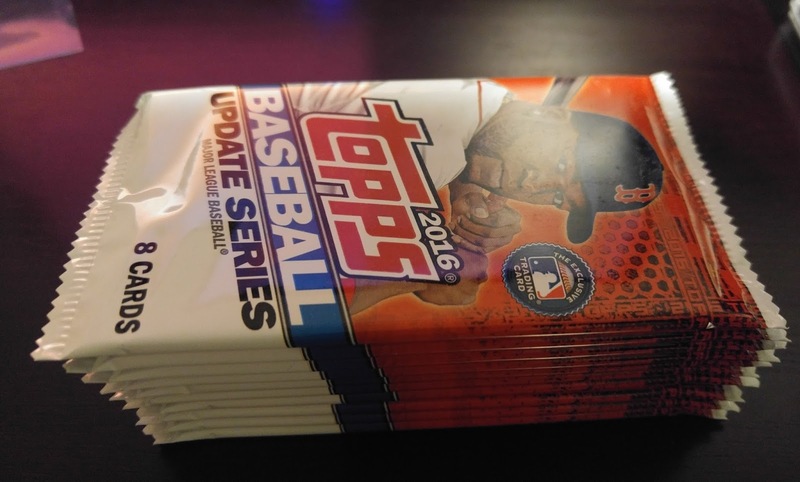 These are retail packs so don't set your hopes too high. I have 8 packs so if you want a pack, just comment below! If there are more than 8 comments, I will randomize the entries. 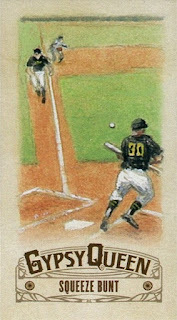 I'll likely ship the packs PWE to save on postage and Canadians can enter. EDIT: I'll probably keep this open through Monday and I'll reply to your comment so be sure to check back later. Even though I'm baseball fan, I tend to tune out during the playoffs. When your team has not made it to the playoffs in 15 seasons, it can be a little difficulty feeling enthused about the post-season. I can honestly say that this century, the only times I've watched a full playoff series has been when the Red Sox were in the World Series. I have strong ties to New England so at least the Red Sox gave me something to cheer about. 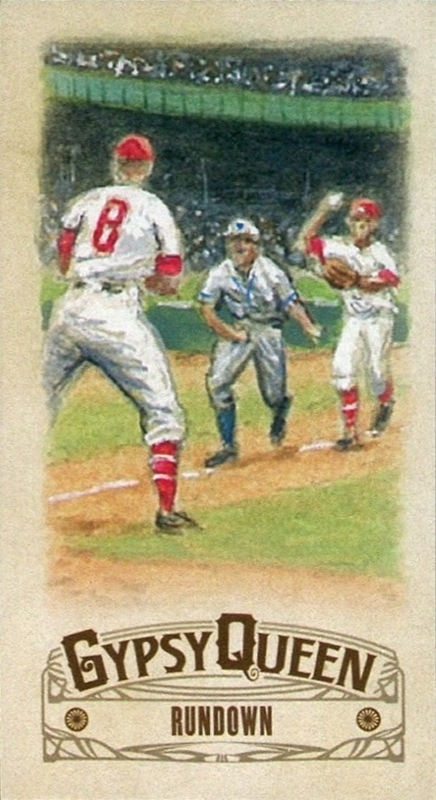 Despite the historical match-up of two teams with the longest World Series droughts, the only game I fully caught was Game 7. I picked the best game to watch. I was rooting for the Indians, marginally, as I can empathize with the agony of Cleveland sports fans. Sure the Cavs won the NBA Championship last season but as a Seattle fan, I know what it's like to have that championship drought. 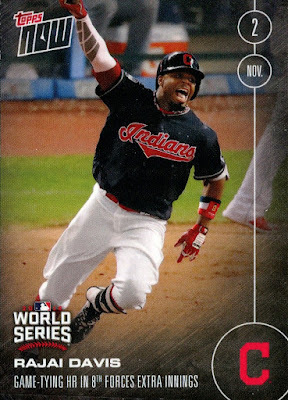 Since Game 7 was such an incredible game with the Cubs taking an early, significant lead, the Indians making a dramatic comeback, and then the rain delay to make it even more tense, I decided to buy a couple Topps Now cards to remember that game. 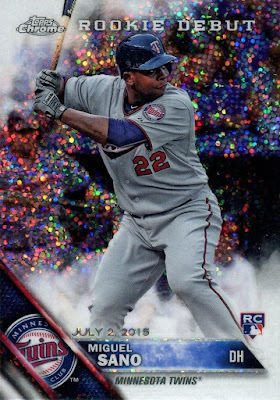 (As a side note, I must say that I was more impressed with my Topps Now shipment this time. My two cards came in a hard case, sandwiched between two dummy card pieces, inside a special Topps Now box that was wrapped in bubble wrap, in a bubble mailer. With such a production, any eBay seller probably would have charged $10 for shipping. My shipping was free. 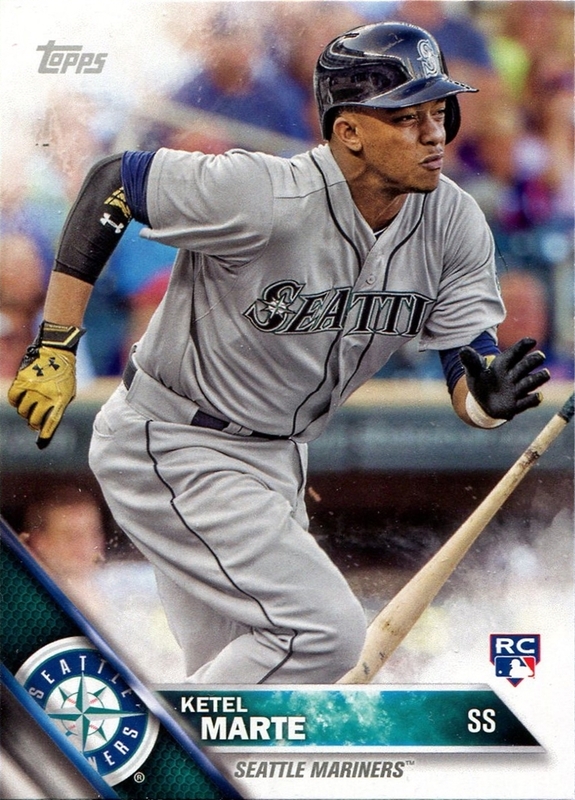 A running joke among Mariners fans is that when a player leaves the team, they often go on to perform better than when they were with the team. Initially, Montgomery was placed in the starting rotation with the Mariners. Montgomery had difficulty lasting late into games so for the 2016 he was placed in the bullpen. I liked this move as it would give the Mariners a relief pitcher who could throw for two to three innings if needed. He could be a solid middle reliever. Montgomery performed a serviceable job for the Mariners so I was a bit disappointed when I found out he was traded to the Cubs. 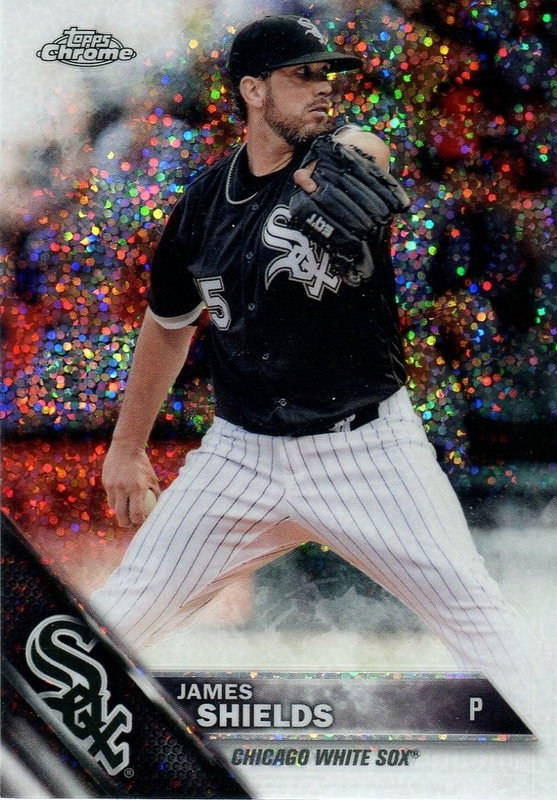 He didn't turn around and become an ace relief pitcher with the Cubs but he did shine on the biggest stage in the world. Bottom of the 11th, two outs, Game 7 of the World Series, with his team up by 1 run. 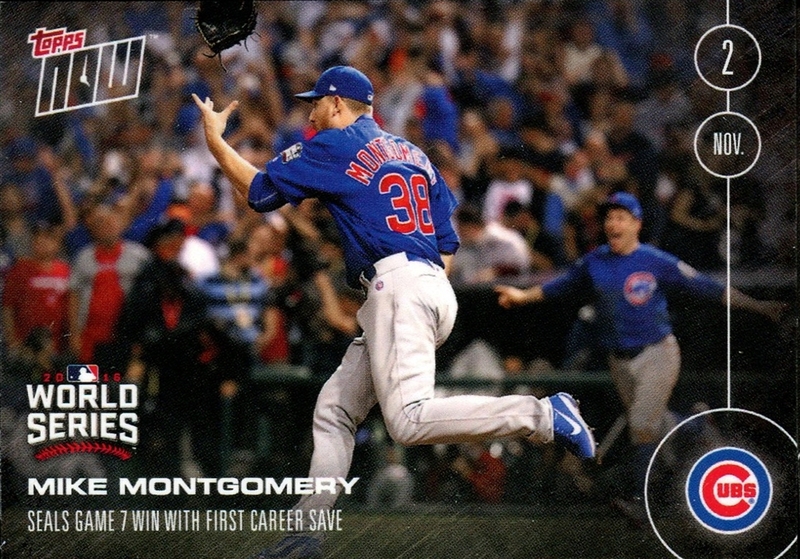 It only took him two pitches to seal the deal and elevate himself in baseball and Cubs history. Montgomery never had a card with the Mariners so I really wanted this card as a way to tip my cap to him. I believe this was the only Indians card to be featured from Game 7, understandably so since they lost. There was not much to celebrate. 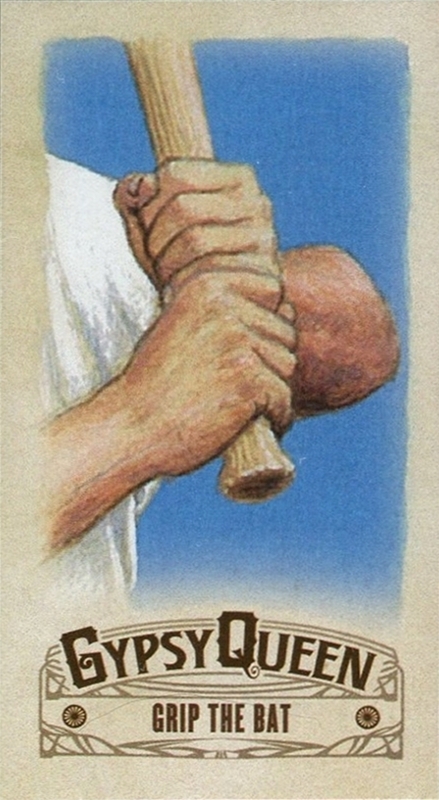 However, his home run to tie the gaming was remarkable. Not only did it keep the Indians' hopes alive but he hit a TV camera and spun it around! That's what struck me so much about this home run. He hit the TV camera dead to rights. I love watching the replay from the view of the camera he hit. I'm watching it again now in slow motion replay and it looks as if the camera man was turning the camera away from the ball so as to protect the lens but he ended up turning it right into the ball. It also looks as if the camera man was turning the camera to track the ball because the ball did look like it was veering to the left. Either way, the odds of him hitting it right at the camera is what makes this home run so exciting to me. 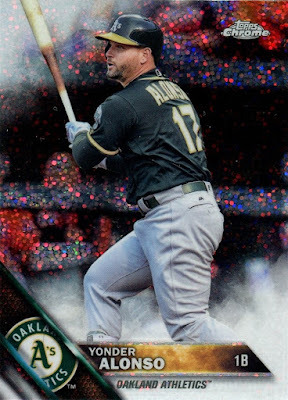 These were the only post-season Topps Now cards that appealed to me and I'm glad I have something to remember from watching the game. The Mariners' stove this off-season has been mostly cool this offseason. General Manager Jerry DiPoto has made a few moves here and there, tinkering with the back end of the 40 man roster; nothing really to write home about. The Mariners are in "win now" mode so I haven't expected anything big. Tonight before I headed off to the store to pick up a few last minute Thanksgiving items, I decided to take a look at Twitter real quick. What I saw was a flurry of Mariners posts. Trying to get my wits about me, I briefly saw the names Walker and Marte. It turns out the Mariners traded Taijuan Walker and Ketel Marte to the Arizona Diamondbacks in exchange for Jean Segura, Mitch Haniger, and Zac Curtis. 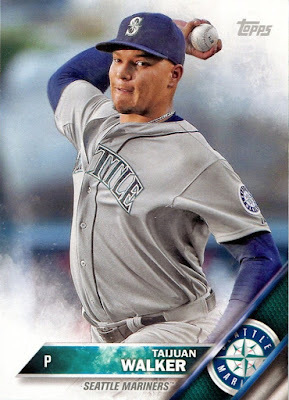 Not one to want to pass up a good blogging opportunity, I've decided to say farewell to the now former Mariners the best way I know how: through cards. Of the two, the only player I'm disappointed to see leave is Walker. He's been inconsistent at times but when he's on, he is dominant. As a young pitcher, Walker's biggest problem is that when he gets into trouble he has a hard time getting himself out of it mentally. 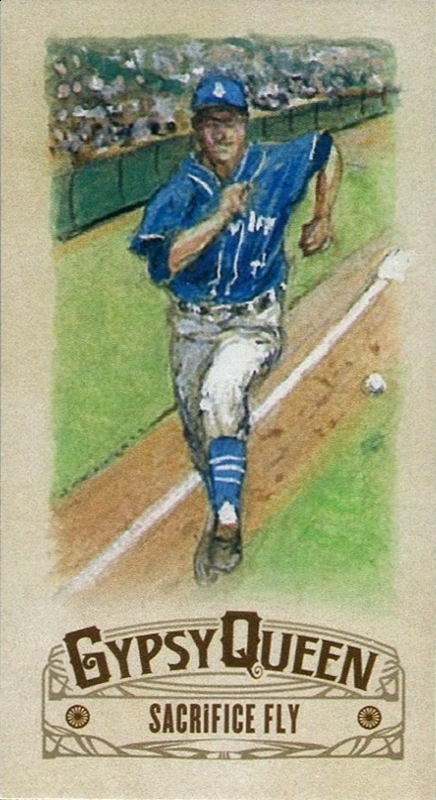 It was not uncommon to see him leave in the 5th after only giving up a run or two because there was no way to tell if he could pull it together to prevent a further collapse. 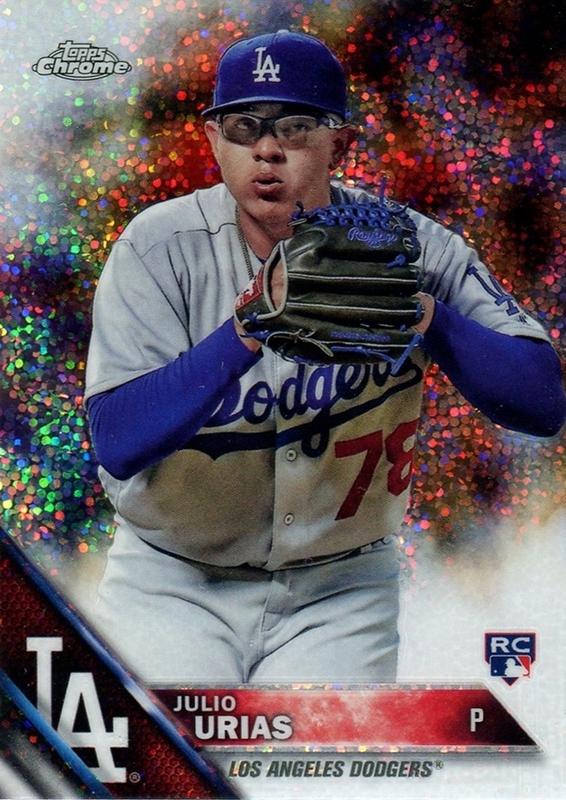 Like I said, he is still a young pitcher. Walker has been making progress and I think he will become a great pitcher. Thankfully, when Walker finds his groove, the Mariners won't have to worry about facing him. 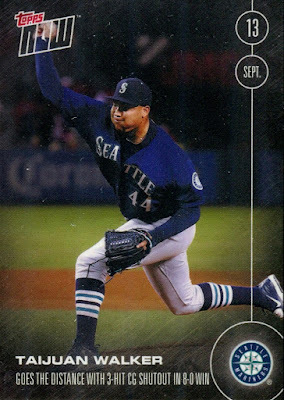 Surprisingly, I only have two cards of Taijuan in my collection according to the Trading Card Database. 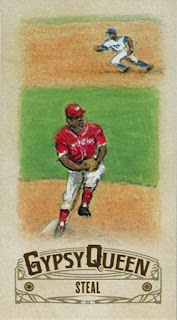 As part of the COMC Black Friday sale I will probably look to pick up a cheap autograph of his. 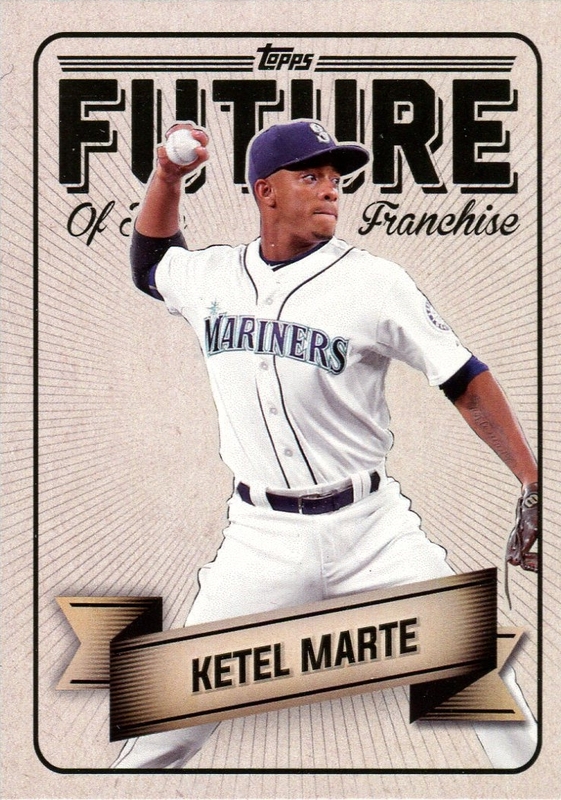 When Marte was called up at the end of the 2015, he appeared to be a promising player. Although his defense was shaky, he had speed and could hit decently. Speed and hitting have been two key attributes lacking for the Mariners that past couple seasons. 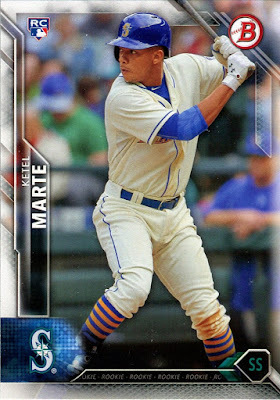 At the start of the season, I was excited to see Marte improve. However, Marte struggled at the plate, his defense didn't improve, and he made a couple trips to the disabled list this season. This offseason, Marte became the elephant in the room. Thus, I view this trade as not an commentary on Walker's inconsistency but on Marte's lackluster play. 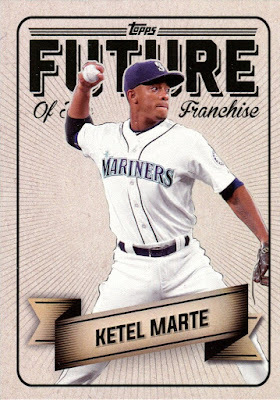 I hope for the best for Marte because he will need it. He didn't inspire to much excitement in me this so year considering that I have a rookie patch autograph of Marte (that I managed to pull myself), I'd say my collection of him is complete. 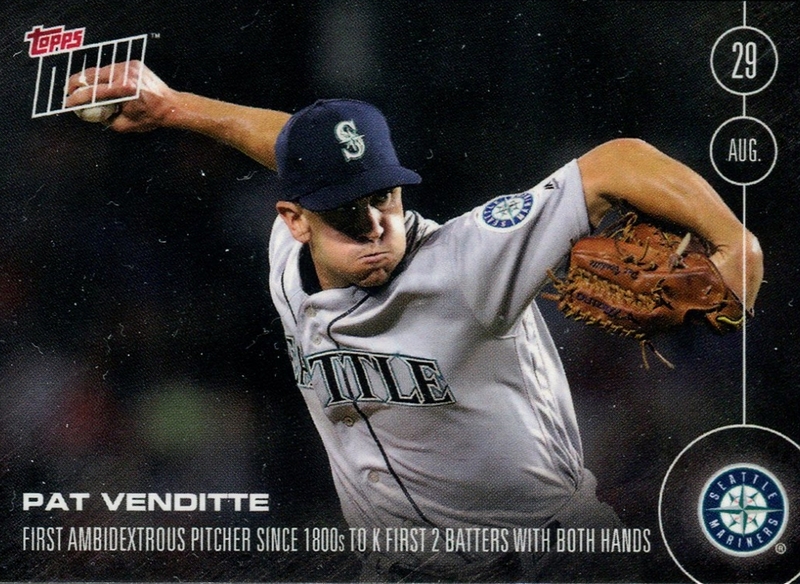 A side note of the trade is that the Mariners designated Pat Venditte to make room on the 40 man roster. Venditte didn't make much of a blip on the Mariners' radar this year, appearing in only 7 games. He was a last season acquisition as the Mariners' pitching staff was setback by one injury after another. Venditte's fame is for the "oh that's so baseball" stat of striking out the first two hitters he faced with both hands. While Walker is a big loss for the starting rotation, Segura is an instant upgrade for the infield. Whether Haniger or Curtis ever see playing time for the Mariners is too early predict. As a whole though, I'm very optimistic about this trade.